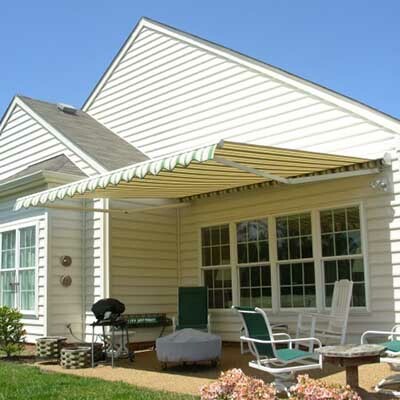 Apple Door's deck & patio awnings are custom-built to help you find your Total Shading Solution! Whether you're looking to cover your deck and enjoy the shade, block sun from damaging your interior furnishings, or reduce your energy costs, Apple Door's deck & patio awnings have you covered. From full featured awnings to affordable entry-level models, Apple Door retractable awnings have what you're looking for. Providing on-demand solar protection, retractable awnings expand your home beyond its walls. 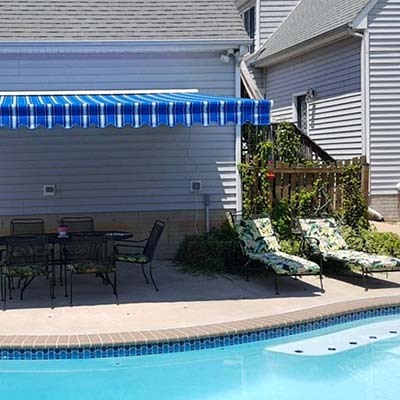 With the touch of a button or spin of the crank, these awnings transform your deck, patio, or terrace into an attractive and comfortable expanded living space.